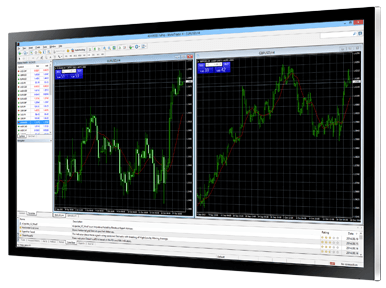 MetaTrader 4 (MT4) is recognized globally as the premium platform that provides traders with a wide range of needs. Enhance your trading journey through a myriad of features with advanced charting tools, fully customizable system, algorithmic trading, Expert Advisors and mobile trading applications. MT4 is the world's most popular trading platform as it offers a fully customizable and user-friendly interface and a suite of technical analysis tools. Additionally, traders will be able to use the MQL language to easily program indicators or use Expert Advisors for automated trading strategies. The market that we deal in is volatile. The trading commodities market also often see many changes especially in the form of platforms that are available for trade, one such trading platform is mt4. This one is developed by MetaQuotes software which allows simple online trading. This can be downloaded on the devices that one commonly used and offers a large number of functions along with the mt4 brokers support. The new traders often feel that they should have some support with the new platform so that they are not making mistakes and if that is what you are looking for then you must read further. Your profile on the platform will allow you to save various charts in a manner that you deem fit. The screen is adjustable and allows simple adjustments to change the view. Mt4 platform cans sometimes are confusing with so many graphs and confusing information. This is a suitable platform for those who love making analysis and takes on trades based on them. The charts allow the traders to access the market situations and make decisions based on it. There are trend lines that help the users to identify the support and resistance area. Using the trend line is simple and works with a simple drag and drop method. Moving, editing and deleting these trend lines work like simple functions from the mouse. There are many modes that can be used by the traders to visit any price bar or to find particular information. Since it is accessed directly from the device the platform is quick in response compared to other platforms. This is also the main reason why it is gaining popularity. The new users also get support in the form of mt4 brokers who ensures that the trades are carried out on time.